Pizza Hut wants you to tap to your favorite tunes with your crispy pies. 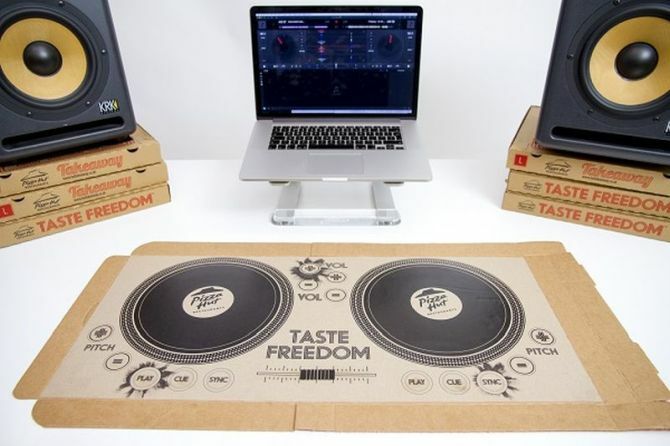 That’s why the fast-food giant has created the world’s first playable DJ pizza boxes that are integrated with Bluetooth-enabled turntable. The company’s UK division has turned folding cardboard containers into a complete turntable setup, which includes two decks, pitch controls, volume sliders and a crossfader. Contrived by printed electronics specialists Novalia, the DJ setup on the pizza boxes is designed with touch-sensitive conductive ink. This allows the users to select their playlist, as well as volume – just like any conventional touchscreen. The world’s first playable DJ pizza boxes are powered by internal battery and equipped with Bluetooth sensors. These Bluetooth sensors can sync the turntable to any computer or smartphone. Using any DJ software like Serato on your system, you can easily select your favorite songs to scratch, rewind or mix. Using this cool pizza box turntable, you can enjoy a full DJ party along with your hot and crusty pizza slices. Unfortunately, only five out of 350 Pizza Hut restaurants in UK will be giving these limited edition pizza turntables. Keep an eye on Pizza Hut Twitter account for its release dates. 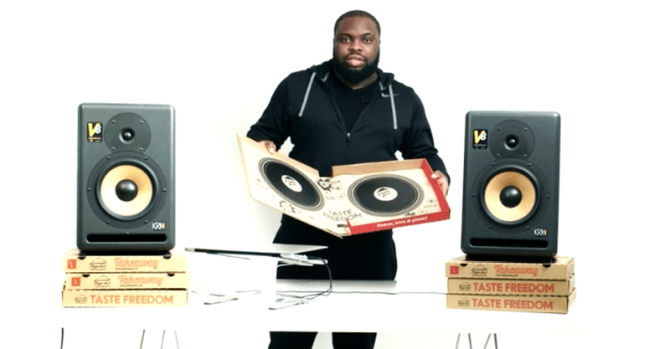 Check out the video below to see DJ pizza boxes in action.